On my shelf I have a book titled Telling Lies for God by I.R. Plimer. I was a bit disappointed in it when I read it because I thought it was itself misrepresenting some of the apologist arguments and could have had more credibility by not sometimes garnishing the facts at hand. Not long ago I took up a request to engage with a video on youtube, Caesar’s Messiah: The Roman Conspiracy to Invent Christianity. The presentation contains so many exaggerations and falsehoods that it would take me forever to address in detail, but I did tackle some of them here and here. 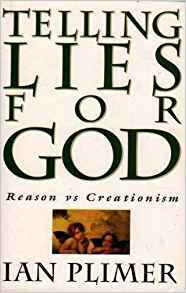 Some of the contributors interviewed, namely Dr Robert and Timothy Freke, did not make any extravagant claims, but others did — namely Joseph Atwill, Rob Blackhirst, John Hudson and D.M. Murdock/Acharya S.
One point I have not yet addressed in depth, however, and that is the claim I placed in the quotation box at the top of this post, the one made near the video’s beginning by Dr Rob Blackhirst. To fast forward to the conclusion, I am astonished that a serious academic employed at a bona fide university could mouth such total fabrication. Not a word of what is quoted is true, but that’s what he claimed for the “benefit” of viewers of the video. Point #1. Josephus’s history of the Jewish war is not an “official history”. It was Josephus’s personal history that did not have to be submitted for approval to the emperor or his agents. Point #2. We have no record to substantiate the claim that “other histories from this period [the period of Josephus in the time of Vespasian and Titus] have been destroyed ruthlessly” — or leave off the “ruthlessly” and just say “destroyed”. There is absolutely nothing in the sources that permits Rob Blackhirst to make that claim. Point #3. Alternative histories were written? Romans rounded up their authors and executed them? These claims are absolute fabrication. There is not a shred of evidence in our records that any such things ever happened. Twenty years since Princess Diana’s accidental death in a car crash, or is it the anniversary of her murder by British Intelligence acting on behalf of the royal family? The Royal Family certainly had motive enough to want her dead. She was destroying their reputation as a bastion of conventional morality and without that bastion the royal family could not survive. So — arrange for a drunken chauffeur, lots of paparazzi, a narrow tunnel on the route, a pre-positioned strobe-light and alert operator, and plots to delay ambulances, and the deed is done. I’ve found that belief in conspiracy theories is more about a refusal to accept the randomness of life and tragedy than it is about the existence of evidence (or lack thereof). Sounds like the same reason “we” believe in God, ghosts, angels, superstitions, fate, diets. Nothing happens by accident. For this reason, the horrible machinations of “evil” conspirators become more believable than a fluke or an accident. Nothing is as it seems. Successful conspirators hide their identities and actions; we must, therefore, always be wary, even when there’s little reason for suspicion. Dots can always be connected. Though conspirators attempt to hide their actions, patterns exist everywhere. Another book I would like to read. Today’s 24-hour news cycle also cultivates an opening for conspiratorial thinking. Among journalists, the race to break a story can lead to gaps or errors in reporting. We also tend to forget that as readers, many stories, especially breaking ones, are a work in progress. It can take months – even years – to ever know the full story. Oh yes. One really notices the differences among various media here. A few (less popular ones, unfortunately) conspicuously stress how little is known in the early days, and they do not broadcast speculative figures of “numbers dead” or “suspected identities” of perpetrators of atrocities in the first twenty-four hours of an event — which I suppose is why they are too boring for a wider audience. But perhaps the biggest reason we tend to give credence to conspiracy theories is our own mortality. Studies have shown that many of us feel that we have little control over our own lives. This leads to something called “anomie,” a type of weariness that makes us view the world as an adversary, with people and systems out to get us. Return to the similar reasons for believing in god. To simply think of Princess Diana’s death as a “tragic accident” gives us less control over own fate. No matter how logically messy the details of a conspiracy theory might be, they do, strangely, soothe our own sense of worth and place in our world. Like asking Jesus or Mary or God, lords of the universe, to take time to interfere with a burst of rain to allow us to get to an important appointment on time. 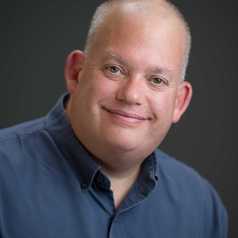 Australia’s national radio broadcaster, Radio National (RN), aired an interview with Rob Brotherton, Visiting Research Fellow at Goldsmiths, University of London, trying to explain to us why conspiracies are generally “all in the mind“. Obviously Brotherton and RN are controlled by the Illuminati and are being used to convince a gullible public that a secret cabal is not manipulating the world economy, the world’s governments, the events in the Middle East and major terrorist attacks in the West. Brotherton, Rob (2015-11-19). Suspicious Minds: Why We Believe Conspiracy Theories (Kindle Locations 931-935). Bloomsbury Publishing. Kindle Edition. Ah, so that’s why a handful of scholars sometimes toss out “conspiracy theory” at arguments they appear not to have seriously investigated and that for all the world seem to me to have nothing to do with “conspiracy theories” at all. Richard Hofstadter, an influential scholar of conspiracism, talked about conspiracy theories as a “style” of explanation. Much as a historian of art might speak of the motifs that collectively constitute the baroque style, or a music critic might parse the subtle differences between dubstep and grime, our task in distinguishing conspiracy theories from regular old theories about conspiracies is to identify some of the most important rhetorical themes, tropes, and flourishes that collectively constitute the conspiracist style. Brotherton, Rob (2015-11-19). Suspicious Minds: Why We Believe Conspiracy Theories (Kindle Locations 925-929). Bloomsbury Publishing. Kindle Edition. Not that these style-points are foolproof rules, either. Think of them more as indicative guides, Brotherton says. So we’ve laid out six crucial elements of the conspiracist style. Before we take stock and move on, however, a note of caution is required. Coming up with a checklist can give a false impression of objectivity . . . . Think of our six characteristics as useful rules of thumb, rather than immutable laws. . . .
It’s worth reiterating that none of the features we’ve talked about, in and of themselves, distinguish conspiracy fact from conspiracy fiction. Just because a claim meets our six criteria doesn’t mean it can’t be true. Brotherton, Rob (2015-11-19). 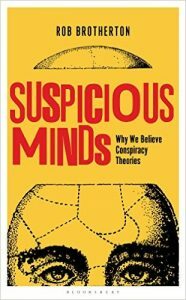 Suspicious Minds: Why We Believe Conspiracy Theories (Kindle Locations 1198-1215). Bloomsbury Publishing. Kindle Edition.